TefloGlass is now the ultimate in oven linings. It's a Teflon®-impregnated fiberglass weave that won't trap air. TefloGlass ensures a marked increased in the uniform heating of any thermoplastic material. There is no need for silicone powders or any other parting agents when using TefloGlass. Its porous weave greatly improves your vacuum-forming efficiency and can endure up to one year of everyday use. TefloGlass is available in a width of 48 in., and it is sold by the foot. 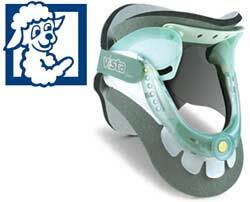 The PROPRIO FOOTTM is Ossur's latest addition from Bionic Technology. The world's first motor-powered and artificially intelligent prosthesis for transtibial amputees, the foot operates as closely as you can get today to natural, anatomical functioning. Easy to set up and operate. In 15 steps, the device evaluates and memorizes the wearer's unique way of walking. The WalkAide® System consists of a small lightweight cuff and a device the size of a deck of cards worn just below the knee. WalkAide produces gentle electrical stimulation that activates the peroneal nerve and raises the foot at the appropriate time in the walking cycle. 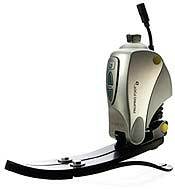 The result is freedom from wearing a conventional AFO while experiencing a more natural gait. Less effort is required to walk or perform everyday activities, and patients can wear any shoes or even go barefoot when appropriate. Innovative Neurotronics is sending out hundreds of leads per month to our O&P partners. Join our team now. Meet the next generation of electronic stance control orthoticsthe Sensor WalkTM Electronic Stance Control KAFO. Developed by Otto Bock in conjunction with the Mayo Clinic, the Sensor Walk delivers superb stance control in a heavy-duty custom KAFO. Unique sensors in the footplate know when the patient is in late stance phase and trigger the knee joint to unlock. Because an extension moment is not required to unlock the joint, the Sensor Walk helps provide a more natural gait. The Sensor Walk can accommodate patients up to 300 lb. (136kg) and a 15-degree knee flexion contracture. Why wait two or three weeks when you can have it now? OPTEC introduces the new EZStep leather gauntlet services, offering a 72-hour standard turnaround, with next-day and second-day fabrication also available. The new EZStep AFO continues the pattern of innovation and excellence catered to your needs. The EZStep AFO features unsurpassed craftsmanship, premium leather outer shell with soft, comfortable, padded leather lining, and multiple closure systems for easy donning and doffing. The EZStep's custom fabrication combines incomparable comfort with unparalleled control, helping make each step easier than the last. SpineCor® is a dynamic system that utilizes postural re-education to target four key progression factors of idiopathic scoliosis: neuromusculoskeletal dysfunction; growth asymmetry; postural disorganization; and spinal deformation. 89 percent effective; clinically proven in a 400-patient, ten-year study. Increased patient acceptance; better compliance. L-Code: L-1005. 2008 Phase I training seminars are now being scheduled. U.S. Patent No. 5,599,286. The Vista Collar from Aspen improves patient care while saving time, money, and storage space. The innovative height adjustment technology makes the Vista Collar like six collars in one. The right size is always on hand, reducing inventory cost and speeding up patient care. The enormous tracheal aperture provides functional access for airway management and other essential procedures. The innovative design of the Vista Collar allows the practitioner to simply apply the collar and then adjust it to the proper height. Available in adult and child sizes. The BRAE Orthosis is designed for the management of forearm rotation contractures using a static progressive stretching protocol. 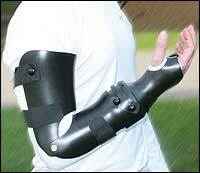 It is useful for treatment of forearm contractures resulting from upper-extremity fractures and injuries. 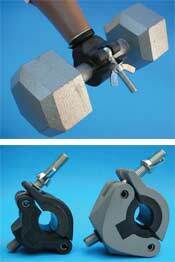 Forearm rotation is adjusted through a dual offset channel with a patented overlapping adjustable rotation component. Ohio Willow Wood's DuraLiteTM foot weighs only 356g and provides high-energy return. Prosthetists can chose a pyramid receiver or rotating pyramid for the proximal adapter. 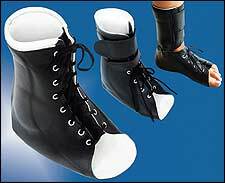 The proximal adapters allow the foot to be easily field-height adjustable without drilling holes. The foot's maximum and minimum heights are 13 in. and 5.9 in. 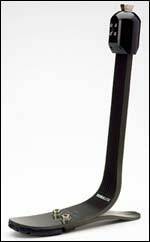 Other features include urethane toe pad, split heel, and two heel heights. Amputees testing the DuraLite experienced successful foot performance while working construction, completing barn and livestock chores, hiking, and jogging. The DuraLite has a 36-month warranty. Patient weight limit is 300 lb. The new 650 APU® Bariatric PRAFO® orthosis from Anatomical Concepts is available for immediate shipment from PEL Supply. Designed to accommodate larger patients, this new APU(adjustable posterior upright) can be used for ambulatory as well as recumbent patients and offers all the functionality of the standard APU. 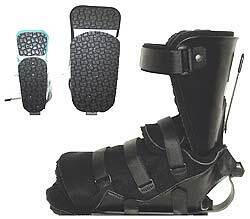 Kodel® boot will fit across a dorsum measurement up to 23 in., and footplate width is 5 in. Extends from 12½ in. to 13¾ in. in length, and 14 in. to 15 in. in height. Available with traditional green/white or black liner (shown). The forefoot is horizontally split into five segments to maintain the same degree of forefoot flexibility regardless of medial and lateral shift of the floor reaction. Integrated carbon fiber "tie-ins" around the heel portion of the keel are epoxied directly to the end of the socket, forming a stronger lap joint between the heel segment of the keel and the prosthetic socket. Titanium option available. 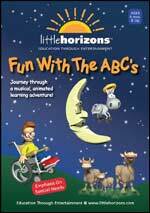 "Fun With The ABC's" DVD from Little Horizons Inc. is an animated learning adventure embracing special needs children that delivers education through entertainment. Share the experience with your waiting room visitors. Introducing a new top-quality, transparent material to use for evaluation interfaces. Not brittle, so there are no concerns about fracturing. Stiff with a bit of flexibility so it pulls easily and is very moldable. Easily modified with a heat gun. When heated to 340 degrees F, OPCheck Sheets pull easily with minimal shrinkage. Excellent bonding with easy grinding and edge finishing. Available in four thicknesses from 8mm to 15mm. Sheets are 16 in. by 16 in. 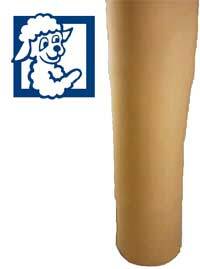 The Ohio Willow Wood Alpha Flex Sleeve offers flexibility, increased range of motion, and greater comfort. 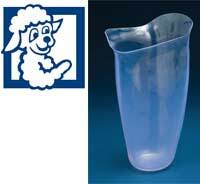 It may be used with locking suspension, suction suspension, or LimbLogic© VS to create an airtight seal. 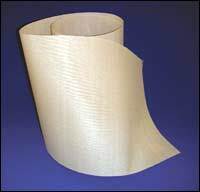 The durable Alpha Flex Sleeve uses a derivative of the popular Alpha gel. For even more durability, the Alpha Flex Sleeve features a contoured polyurethane pad on the interior fabric cuff. This pad, which covers the typical socket brim, helps reduce damage to the seal due to impacts in the brim area. Gel thickness is 3mm. Warranted for 30 days from date of original shipment. Suggested U.S. L-Code is L-5675. BridgePoint Medical, an orthotics and prosthetics company, will solve your business issues and allow you to focus on your patients. We are not brokers, a buyout fund, or corporate CPAs. We are well-funded, experienced, and focused on creating a great patient care company. We can provide immediate cash and help you plan your future. We also offer a FREE practice evaluation.